Product code: W736cc Categories: Sold Items, Sold Watches. Here is a magnificent vintage 18ct rose gold IWC watch calibre 853 dating from 1960 that has such a classic and elegant look to it. 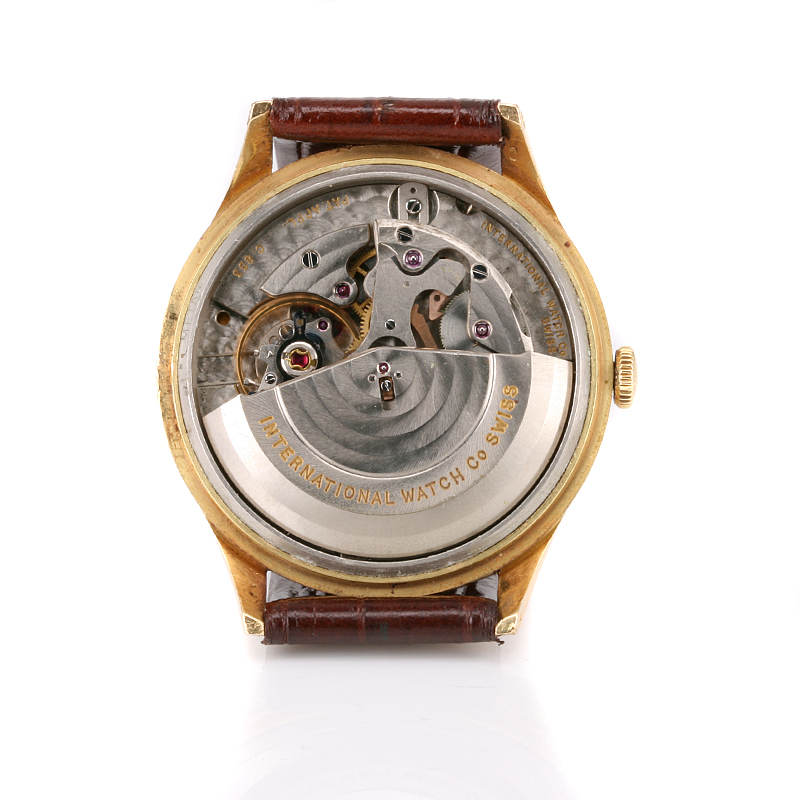 Even today, IWC (International watch Company) is still regarded as one of the finest watch companies in the world and was formed in Switzerland in 1869 in the famous watchmaking area of Schaffhausen. This particular IWC was made in a 18ct yellow gold case that measures 35mm across plus the crown and will look so elegant in the boardroom or at the dinner table. With a very elegant and traditional dial with the centre sweep seconds, the dial is printed with the traditional IWC written as “International Watch Co” in the original font that is such a trademark of early IWC watches, and below this in capitals is Schaffhausen. Inside this gorgeous IWC watch is powered by the magnificent 21 jewelled automatic IWC calibre 853. This same movement was used in their world renowned IWC Ingenieur watch and of course keeps perfect time and comes with our twelve month warranty. 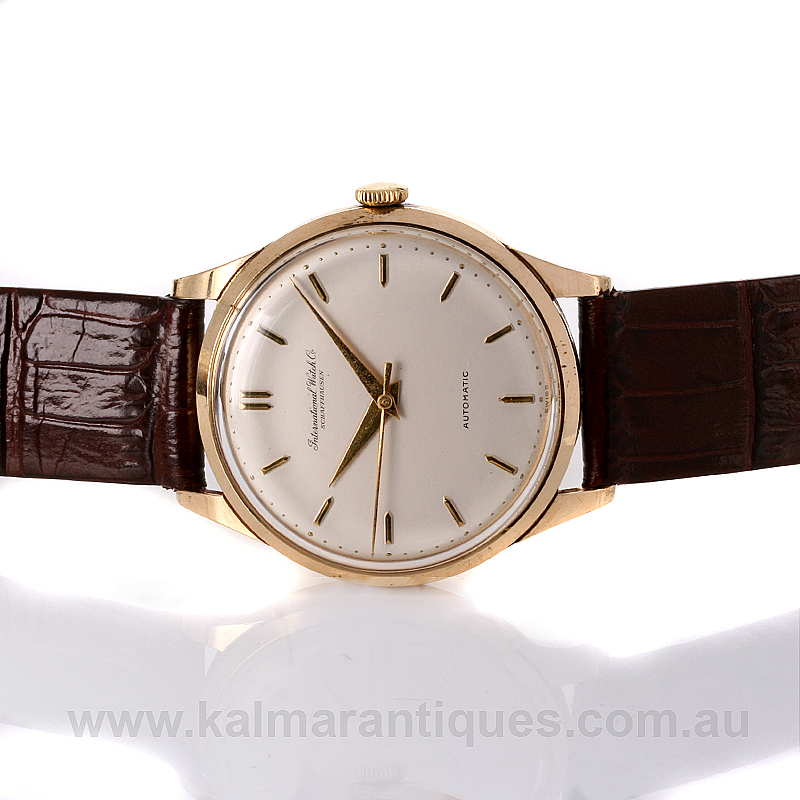 A very elegant watch especially in the 18ct rose gold case, this vintage IWC watch is just so elegant and stylish.